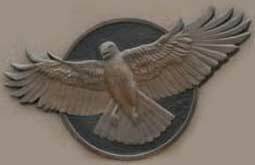 The Tijuana River Estuary is provided with a state, county, and federally funded, fully staffed “Interpretive” center. To reach the center, simply take the Palm Avenue exit from Interstate 5, as if you were going to Imperial Beach, and then go west. Where Palm Avenue bends to the right / north, you go straight. When you arrive at the beach simply turn left and take the last available road left again. 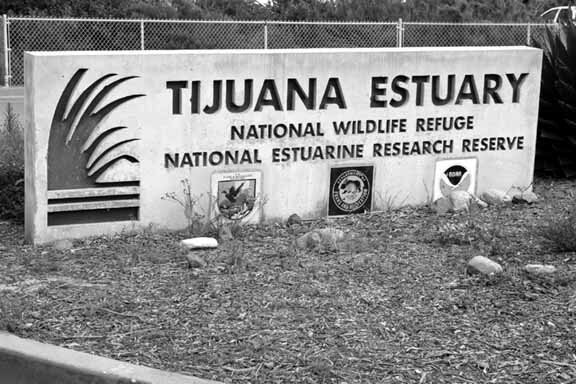 There is a large concrete monument in front that says: “TIJUANA ESTUARY,” and “National Wildlife Refuge,” and “National Estuarine Research Reserve,” which marks the access to the visitor center: 301 Caspian Way, Imperial Beach, CA 91932. As a safety concern, it would be best not to stop and sit on the concrete monument for a photo. The monument is listing about 15 degrees (it’s in a swamp remember …) and might topple over from any side loads. If you had instead decided to make that last turn a right turn (toward the ocean) instead of a left turn, you would have run into the only boat actually in the water in all of Imperial Beach — a sunken submarine. Yes, while the City of Imperial Beach has a sail boat on their city seal, there is no way to actually launch a boat anyplace in the city. The only boat that actually exists in the water and in the city is this sunken submarine. Fate can be mysterious. Yes, so just a few yards off the beach is S-37, an American submarine built in 1918 and which saw action in World War Two. It was responsible for the sinking of a Japanese destroyer, the Natsushio (blowing it into two large pieces) and the sinking of the 2,776-ton freighter the Tenan Maru. As the levels of sewage from Tijuana (and which flow from the Tijuana River Estuary and Border Field State Park and into the sea) increase, the submarine has become massively encrusted with mollusks. Anyone who says that the effluent levels in the nearby ocean are low needs to be shown what this non-existent sewage is feeding just a few hundred yards from the visitor’s center. But you have instead decided to make that very hard turn to the far left and now have arrived at the Tijuana Estuary Headquarters. When one sits back and gazes at those words, “most biological productive system, constantly mixed organic material, daily flushing,” it conjures up the image of somebody’s colon.